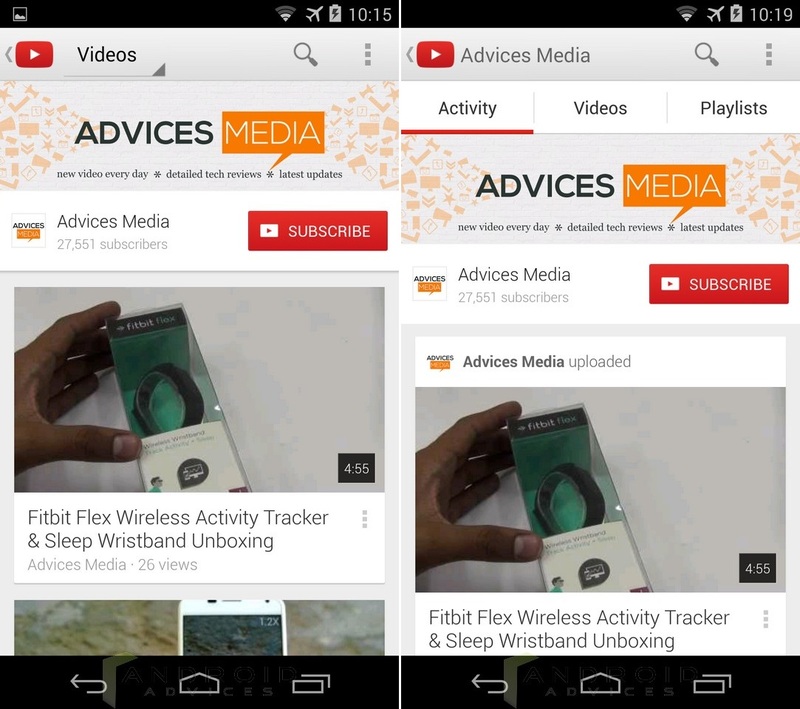 Google doesn’t miss on bringing out changes to the several apps of its on the Android devices, and one of them in the Youtube app which keeps getting some minor to major overhauls, and the latest one – Youtube 5.3.23 comes with some noticeable changes if you have been using the Android version of Youtube regularly. The update isn’t being sent already to the devices but that should happen anytime soon. This one too is not a very huge update but still there are changes that sometimes matter, especially during the search and channel viewing. The changes include the search where you see the channels, videos and playlists all directly in the search results based on the relevancy, unlike the previous versions where you had the dropdown menu showing the options to select one of them to search. If you search for a name, the channel would show on the top, and then the related videos and playlists. 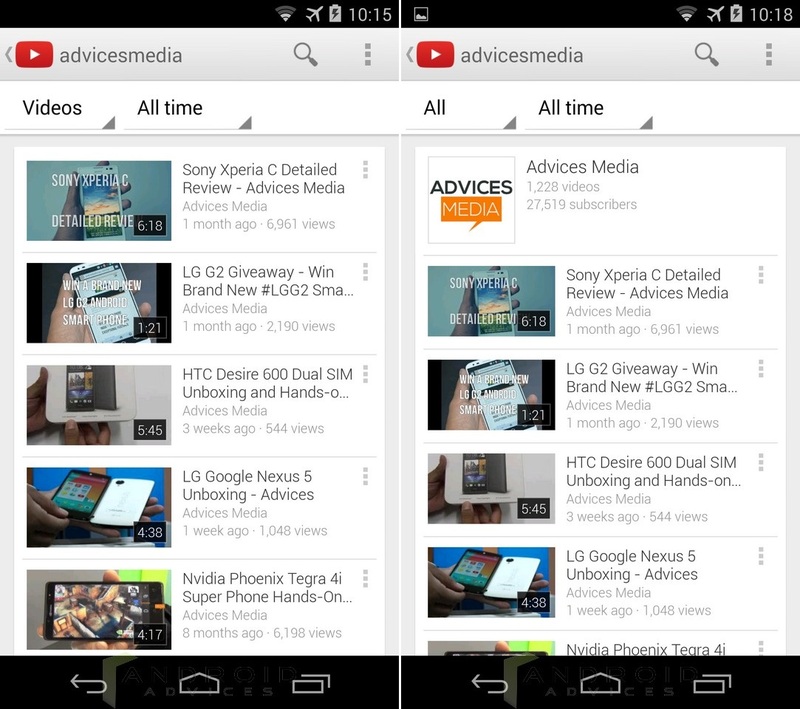 It was not long ago when Youtube for Android 5.2.27 was rolled out to the users, i.e. 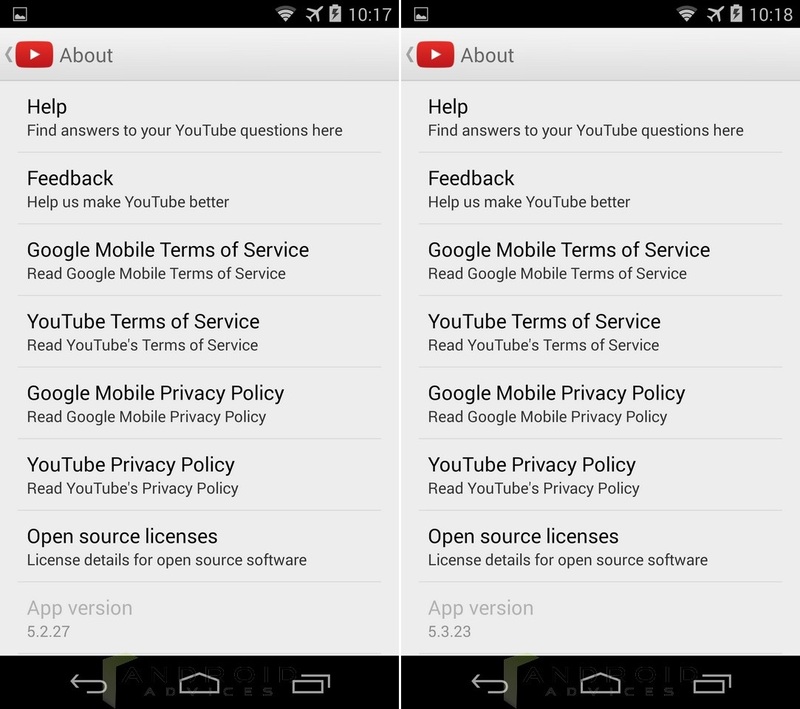 on October 23rd, and now we are seeing and update of that to Youtube 5.3.23. The channel page would show the logo and a small dropdown option on the top where you can select whether to check the activity, videos or playlists, but now that is gone and just above the channel art, there are three tabbed options for the same. This makes it easier to select and navigate around. 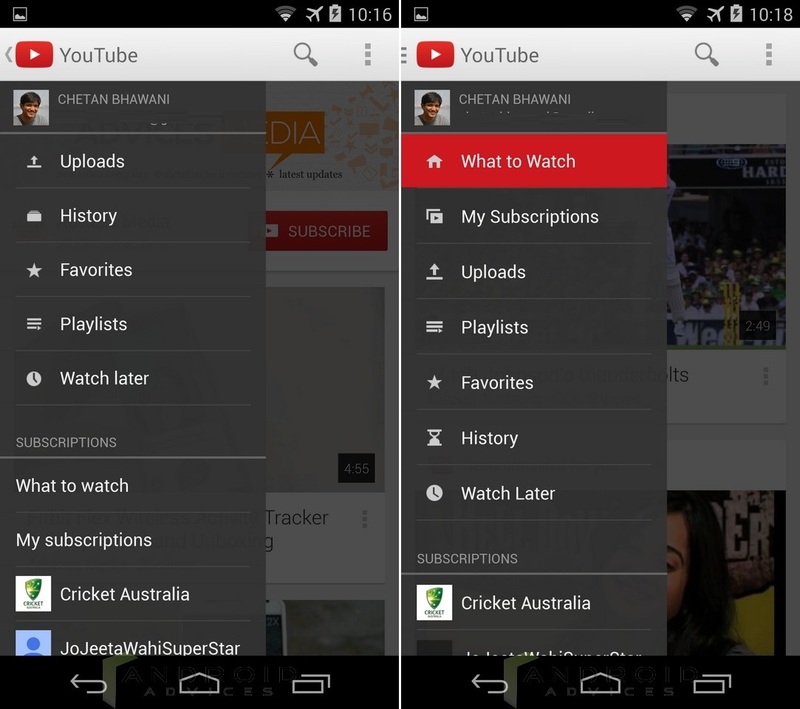 The navigation menu that is pulled from the side, earlier showed the “What to Watch” recommended videos option and the Subscriptions tab below the user tabs such as Uploads, Playlists, Favorites etc., but now the two are taken to the top, just below the name & email of the user. These won’t really be effective if you are not a very regular user, but for those who keep checking the videos, playlists and particular channels on a frequent basis, these minor changes are good and slowly make the user experience better.